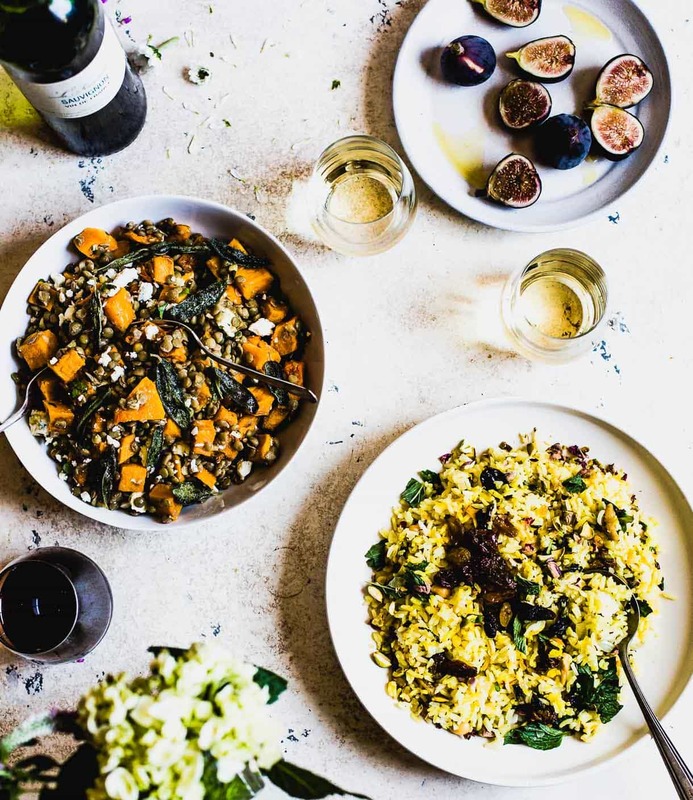 As a lover of vegetarian food, I find plant-based wine pairings can often be overlooked. Most research will give you all the meat and seafood pairing ideas you could ever want (which isn’t a bad thing! ), but vegetarian are few and far between. Truth is, many of the same guidelines apply, just in different context. Fat, acidity, body, sweetness, tartness, and flavor all play a crucial role in pairing vegetarian food with wine. 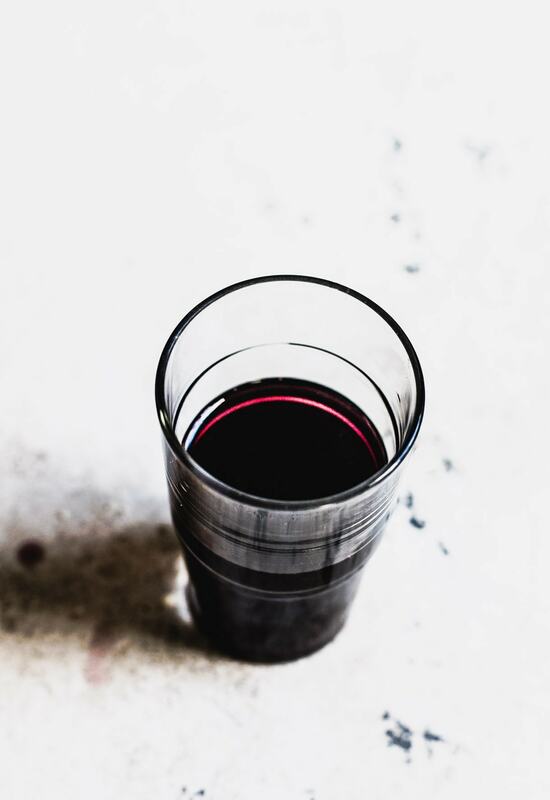 When deciding on what wines you’ll serve, you’ll want to choose those that highlight the true flavors of vegetables, pasta, and grains, rather than overpower them. In those cases, there are certain wine varietals that play better than others, especially the wines of Italy. 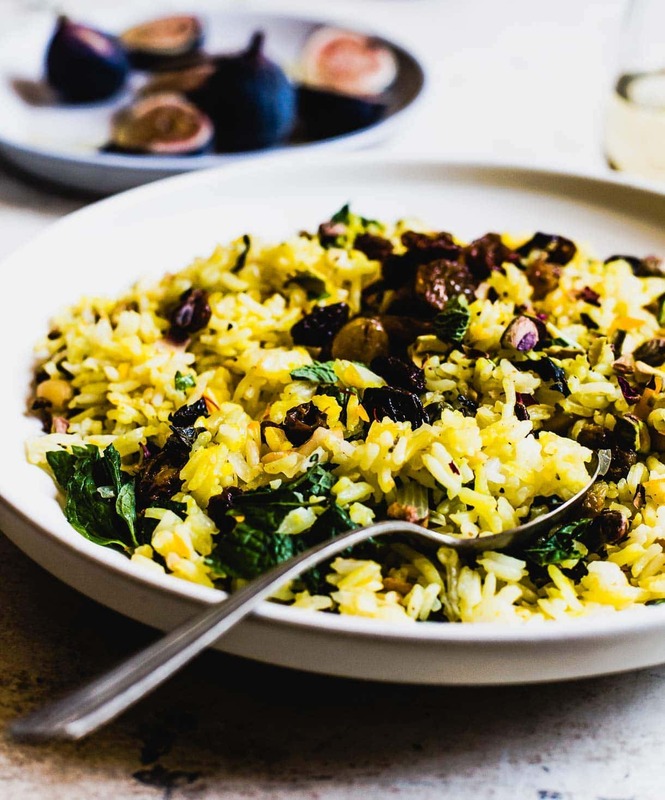 Jeweled Herb & Rice Dish with Soave Classico from the Veneto region: This is the type of wine you can count on to pair with just about anything! Made from Garganega grapes, Soave offers a naturally rich consistency and freshness that is never too biting or acidic. I love it for its dry mineral tones, as well as stone fruit, honey and dried sage. It has a grassy note to it that particularly appeals to Sauvignon Blanc drinkers. I paired it with a complimenting dish, Jeweled Rice with Dried Fruit and Nuts, that gets its lovely yellow color from saffron. The textural components from the crunchy pistachios and plump, dried fruit are a nice contrast. 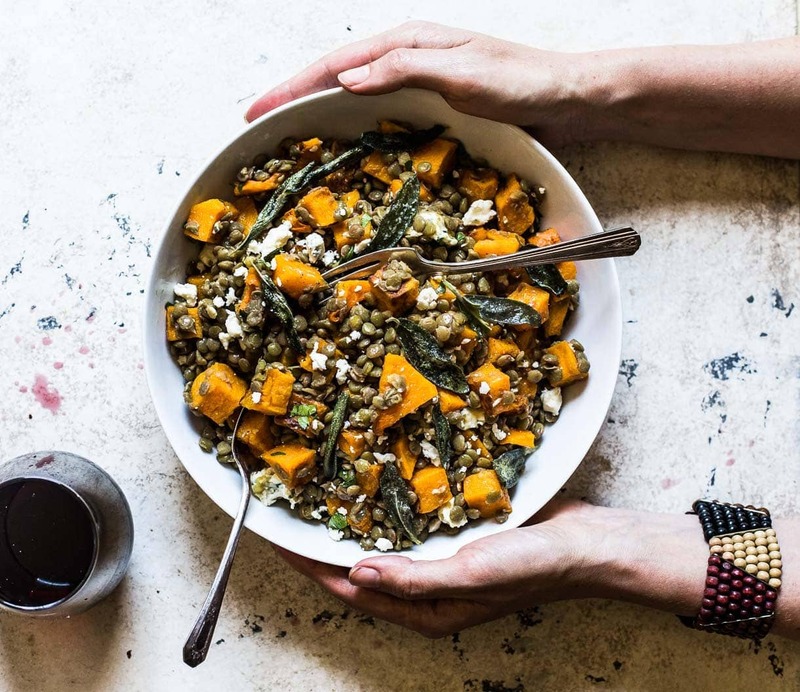 Lentils with Butternut Squash, Blue Cheese, and Fried Sage with Chianti Riserva from Tuscany: Chianti is a very classic Italian red made from the Sangiovese grape, which usually shows black cherry, earth, violet, leather flavors, backed by a firm structure. This structure is supported by both sweet and discrete tannins that give dimension and length to the wine. The peppery lentils and bold blue cheese of this autumn dish were an even match for this more complex wine. The fried sage added a layer of herby, earthy flavor, while the butternut squash added a sweet, nutty taste. It was a quick adaptation of this recipe! 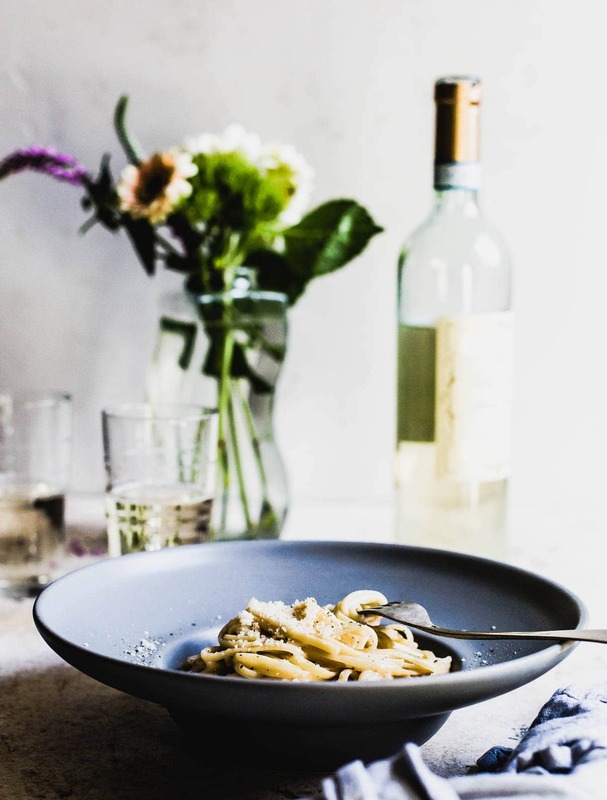 Fettucine Alfredo with Pinot Grigio from Collio, in the Friuli region: Located in the Friuli-Venezia Giulia region, Collio’s ideal growing conditions include hillside vineyards with sharp changes in day and night temperatures that generate complexity and depth of aromas. Soil is another key factor: Layers of marl and sandstone—known locally as ponca—impart salinity and a mineral edge to the wines, which is why I love Pinot Grigio from this region a little more than others. Pinot Grigio has been cultivated in the area since the mid-19th century and is the most planted grape in the denomination. When you buy a bottle, you may notice copper highlights, the natural color of the juice after brief contact with the skins during pressing. So pretty! 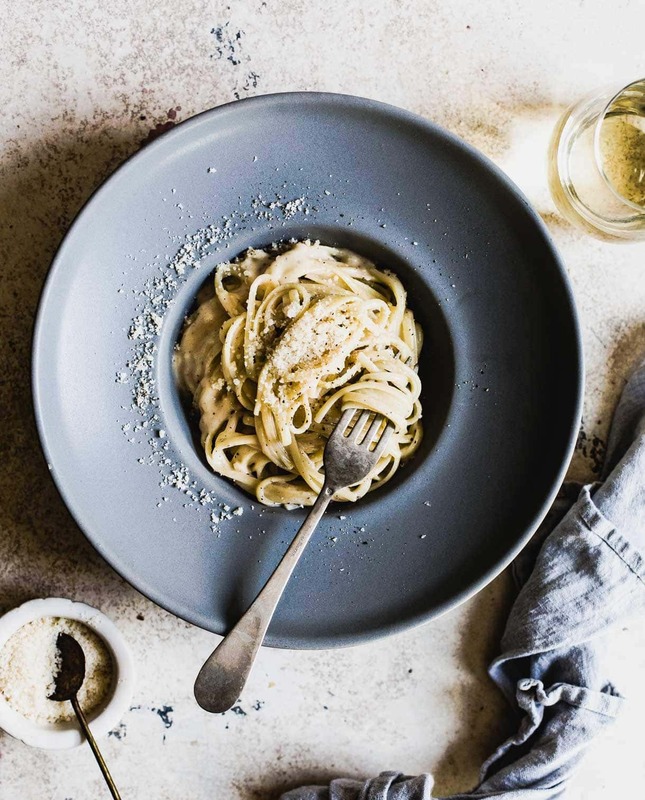 Fettucine Alfredo is one of our favorite pastas, creamy and elegant, yet simple to make. Pairing it with Pinot Grigio from this region, particularly because it has a smooth, yet robust flavor to enhances the nuances of silky sauce. I used this gluten-free Alfredo sauce recipe and it was incredible. 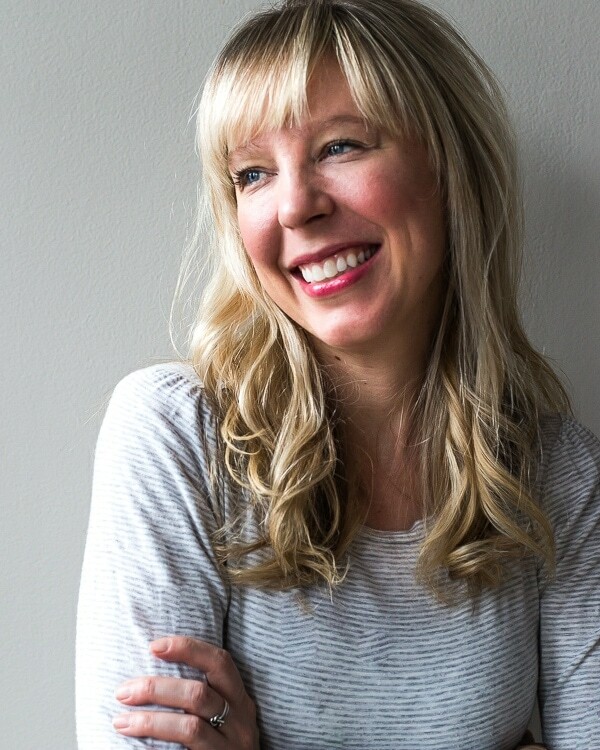 If you have any other favorite vegetarian food and wine pairings, I’d love to hear them! Share below in a comment, or on instagram with hashtag #heartbeetkitchen.